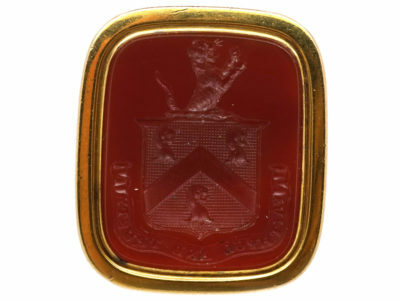 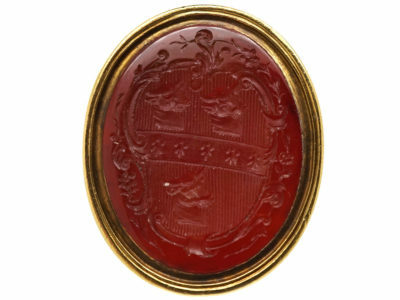 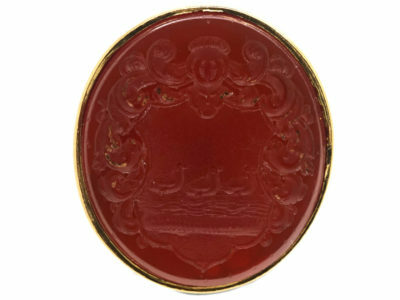 A good 9ct gold cased seal which was made circa 1800-1820 in the classic Georgian style. 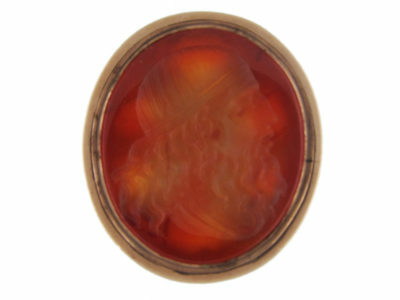 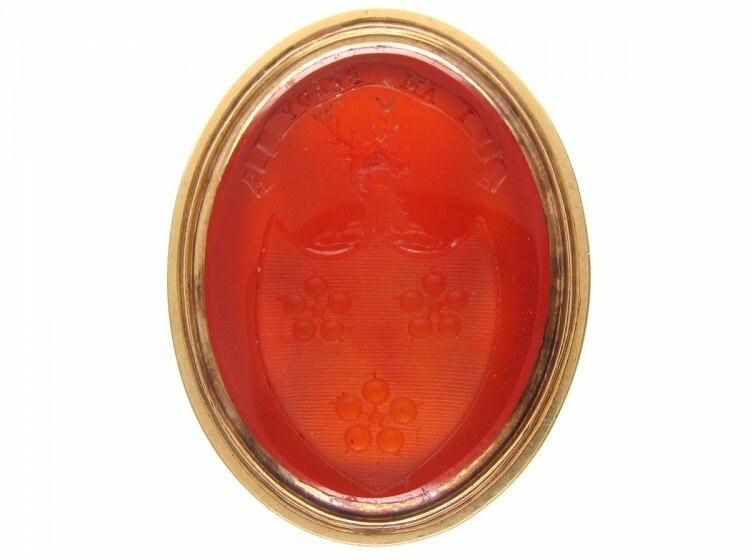 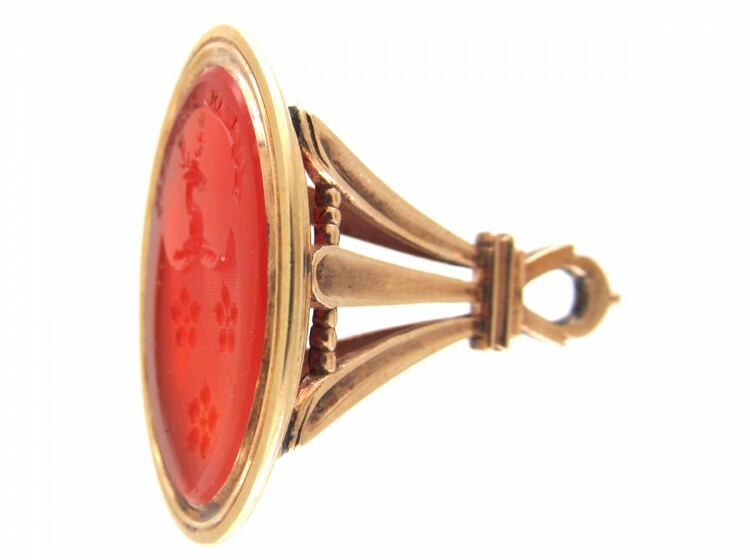 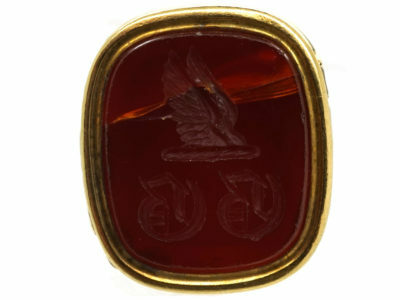 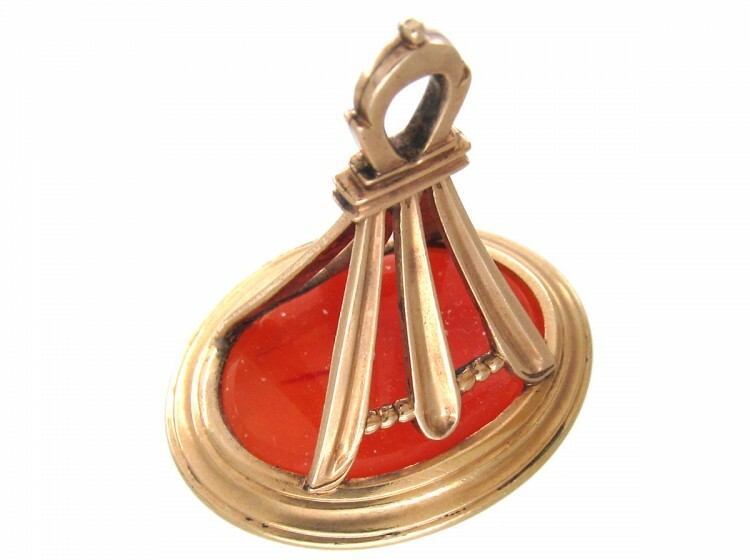 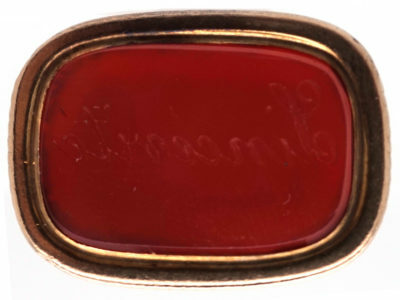 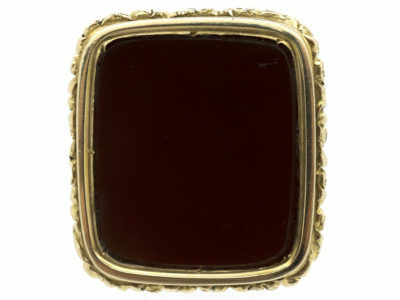 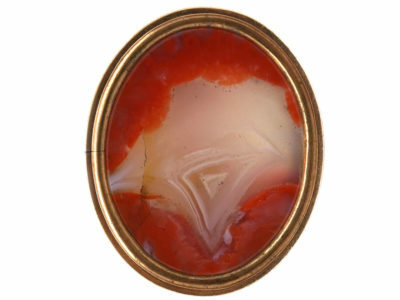 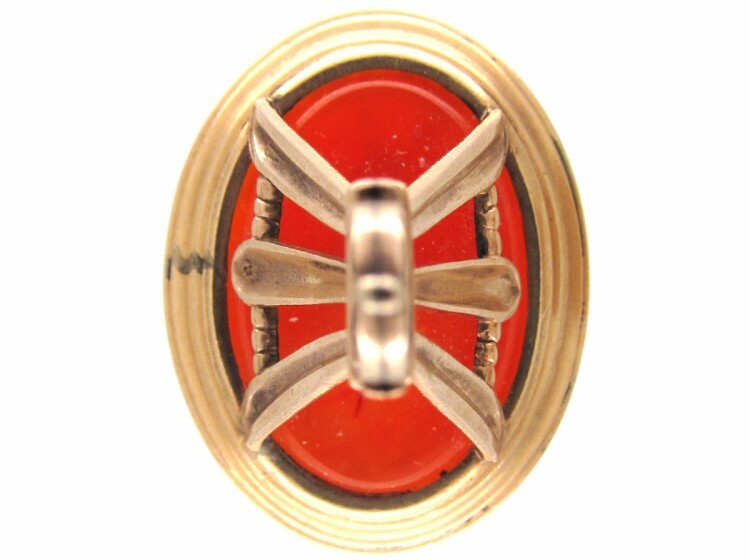 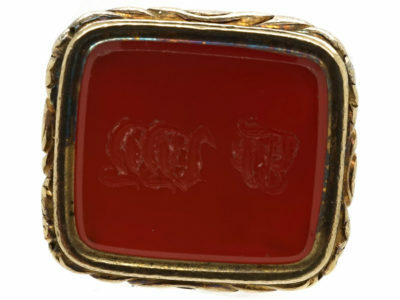 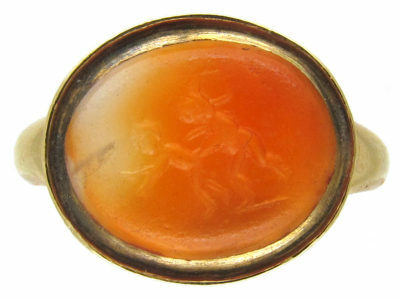 It has a fine carnelian intaglio of a stag’s head with a shield and three flowers within it. 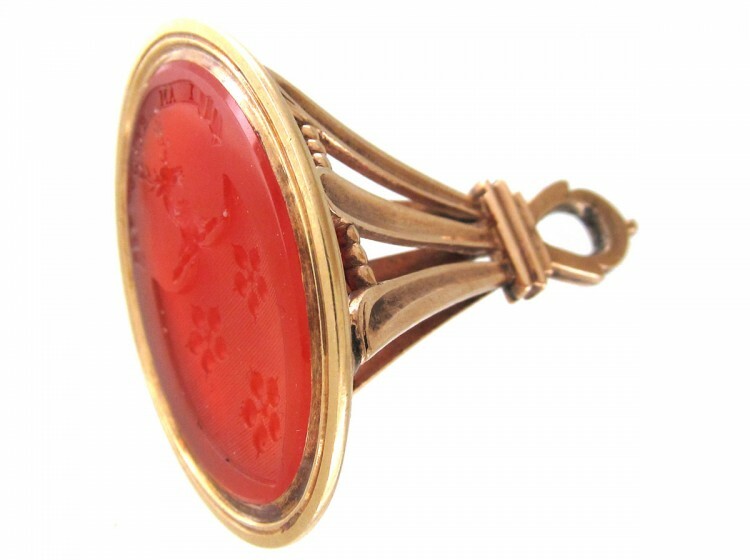 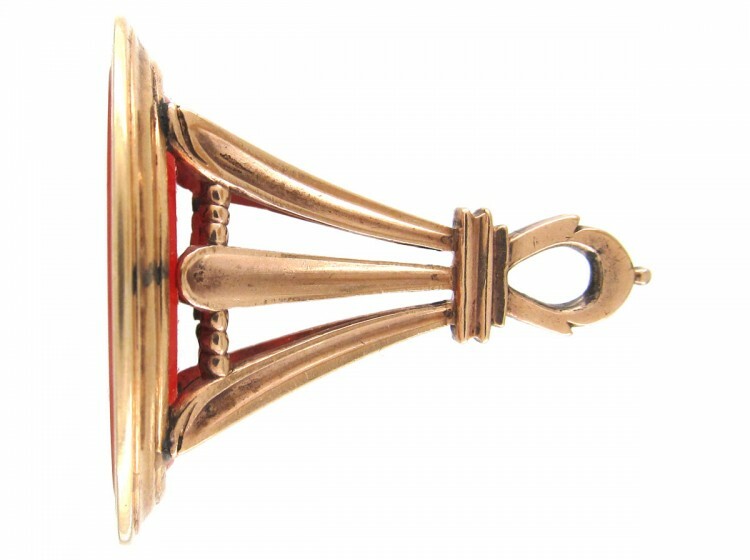 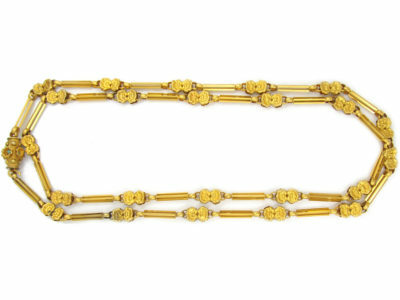 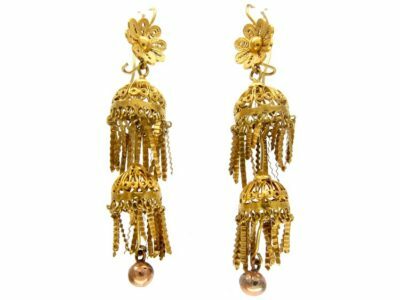 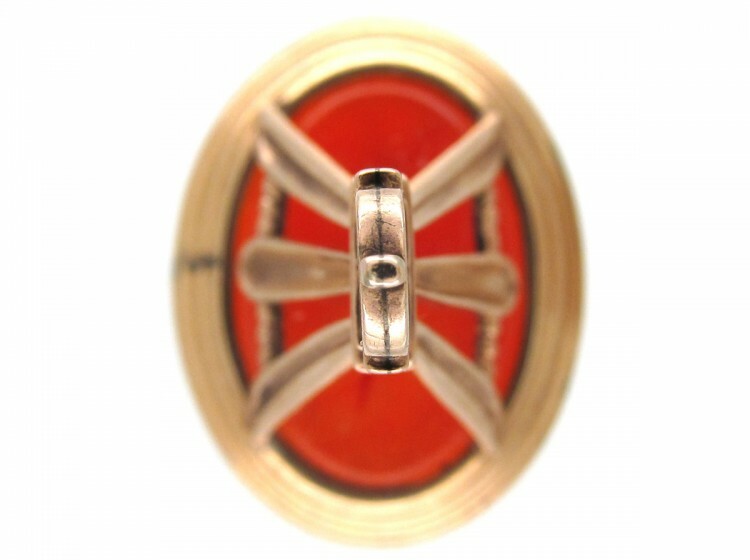 The motto reads “I am ready” These bell shaped seals look wonderful when worn on a chain.